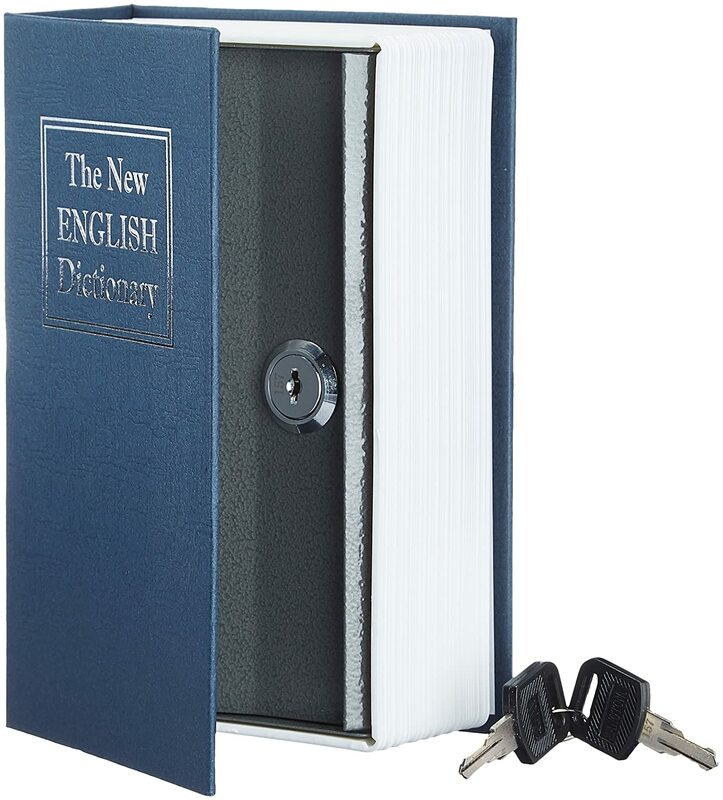 Inconspicuously conceal valuables with this AmazonBasics book-shaped safe. The box looks like an actual book, blending in seamlessly with other books on a bookshelf, yet it creates super-sneaky storage space inside for storing valuables. The AmazonBasics book lock box comes in handy whether traveling or at home.